Seriously though, this is a post that doesn’t just promote my coaching program, it also demonstrates powerful marketing lessons. For those of you paying attention, leave a comment and tell me what triggers I’m attempting to elicit with this blog post. It’s funny how you can state how good something is, you can even show proof by giving away free samples, but if it’s your own product you are talking about, well, some people just don’t believe you. They never will, until someone else says it’s good. So, in the spirit of helping you to decide whether Blog Mastermind is right for you (and remember the doors close this Monday), here are just some of the reviews of the program I’ve found on the Internet, written by people who have actually looked inside and taken part in Blog Mastermind. Bear in mind some of these people are using their affiliate links in their reviews, but you can’t blame them for that – that’s one of the monetization techniques taught in Blog Mastermind. The content of the reviews, as you will see, is quite honest (both good and bad points) and you will get a good cross reference of opinion if you go through each of these reviews. Here Is A Method That Is Helping Me Become A Better Blogger! Blog Mastermind Review – is It Worth Investing In? When I first opened the doors to new students I only had a rough outline of how the program would proceed. I wanted to get feedback from students to help tailor the information flow. At the time I wasn’t even sure how long Blog Mastermind would go for. Many people asked how much money they should budget to complete the program and I could only give a rough guess of between 6 and 12 months. It’s a 6 month program, with one lesson a week for 26 weeks and then an extra final bonus lesson on week 27 (plus more exciting extras that I can’t reveal right now that come at the end of the program). The program costs $77 a month, there is a 30 day money back guarantee and you can cancel at any point without having to pay for future lessons, (I’m confident you will want the entire program, so budget $77 a month for 6 months – think of it like a very low-priced college course on blogging). Each lesson builds on the previous work, so you need to work from lesson 1-27 consecutively. There is a task list of action activities at the end of every lesson, so you don’t have to guess what to do next – just follow the steps and build a profitable blog. * Lesson 1: Let’s Get Blogging! You have until Monday December 10 to join, the doors close new students after that and the price will rise if the doors open again in 2008. I appreciate you linking to my article Yaro. It was quite weird how that email came in just minutes before yours. I figured the Universe was telling me something. Anyway, I just call ’em as I see ’em. Answer – All but reciprocity. Yaro has a sound system here folks I have learned so much with what I have been able to get out of his resources. I am still working through the early lessons as I am also a full time student and mom, but I can tell you Yaro is worth his weight in GOLD. Yaro you betcha got a permanent endorsement from me. Because I have followed your advice my blogs are looking professional and soon will start making me some money when I have the time over winter break to start really working on utilizing your monitization strategies. Believe it or not because I have used your methods and the tricks I learned on The 30 day challenge I am learning how to target certain areas within my niche and really develop an authority site. I will be moving this weekend so I won’t have a chance to get in on your last minute push to get new students but you can still count on me for a great write up on both my blogs for future reference and influence on the next round of students. Yaro, the trigger that worked on me was ‘repetition’. Yesterday’s email/RSS post was what finally got me ‘off the wall’ to explore – read your free chapter (marketing by conversations, excellent value, thanks), and then sign up as an affiliate and share the free sample with my email list. Quick question – Is there an option to buy individual modules instead of going through the entire course? There are bits of your program I might be interested in studying, and I’m sure there are a few others like that too. Thanks for linking to my 3 Blog Mastermind reviews, Yaro. I hope people find them useful. 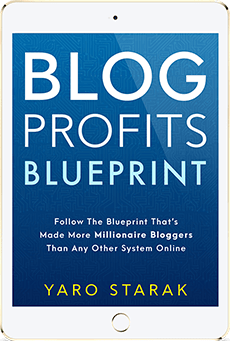 Thanks for linking to my article Yaro, all I can add is that the Blog Mastermind course has been absolutely excellent, and I don’t want it to stop! Yaro this is my first experience of spending money on a program like this and I have to say I have not been disappointed. The quality of your lessons and colleagues on the forums has been the best. The advice and support second to none and your integrity in the whole process beyond question. I am one of the first and getting close to the final furlong, my blog has started well and continues to improve as each lesson takes its place and I am sure when the time is right the money will flow. Many thanks for a excellent investment, an excellent journey and and you Yaro being an excellent mentor! Thank you for listing my review here. I have reviewed over 50 products and blog mastermind is one of the 2 products i have rated 5 Stars! Hey Dr Mani. – At this time, no I have no plans for an al a carte version of the content in Blog Mastermind since each lesson is very much connected with the previous. Thanks for all the kind words about the program everyone – I really appreciate it. I too am spending money for the first time on anything internet related and I am quite satisfied, Even though I have not been able to keep up with the program (I work for a living and have my own DJ company to grow) the lessons have helped me monetize my blog in ways I had never would have thought of on my own. I enjoyed your blog and your style so that made it easy for me to sign up (early) and don’t regret it one bit. Are you offerring another batch intake sometime soon? Yep – should be late May 2008. Your blog mastermind program really helped me out with starting my blog. I didnt know anything about blogging, and now I have my wordpress site up and running. I got 340 hits yesterday, best day so far! Your programs really helped me and I refer to your site all the time to keep learning, thank you!